Casino deposits fund your player account and allow you to take part in online slots and table games at online casino sites. Rather than paying for games individually as you go, you deposit into your wallet, which covers your stakes. The wallet is sometimes called your bankroll or balance. If you want to know how to claim your winnings, see the Casino Withdrawals page. This article covers all the areas you need to know about before you make casino deposits, so read through before you sign up for one of the UK casino sites featured on SpinCazino. You may find an online casino that allows you to deposit as little as £1 to get going, but you usually need to transfer at least £5 or £10. For example, Casino.com has a minimum deposit level of £5, whilst PlayOjo requires £10 or more before you can play real money games. If you are looking for a new casino site at which to play, the minimum deposit amount could sway your decision. Cautious players often deposit a small amount first of all to see if they enjoy the experience at a new site, before either depositing a greater amount or emptying their account and trying somewhere else. Providing a low first deposit reduces your risk. If you don’t like the casino, you have not wasted too much cash on it before you move on. Although you should never play at a casino that doesn’t hold a recognised licence with a reputable organisation, if you are unsure about a casino’s credibility, funding a small amount allows you to work out whether its intentions are honourable without worrying about losing a fortune. At one point, many people thought that casinos that offered low minimum deposits were suspicious, but that is no longer the case. Offering an opportunity to play for less is a legitimate way of wooing customers away from more established brands. For peace of mind, the licensing details of all the casinos featured on SpinCazino are noted in the online casino reviews. Many casinos limit the amount you can deposit at any one time. This can be frustrating if you are a high roller who wishes to fund your account once so you don’t have to interrupt the flow of your games to add more cash to your wallet. Check with the casino site before you sign up to avoid disappointment. Most UK casino sites provide a deposit-match bonus as part of their welcome package. This means that, whatever the level of your first cash injection, you earn bonus funds worth 100, 200 or maybe 300% of its value. The percentage is different at each UK casino site. Casinos do this to encourage you to deposit as much as possible when you sign up. It is for you to work out the balance between not risking too much cash on a new site and making the most of these generous offers. Details of each site’s welcome bonus feature in the individual site reviews. If you want to know more about how welcome bonuses work, see the dedicated page. Some casinos allow you to earn a bonus without making a deposit at all. This is often a small amount of bonus cash (£5 or £10, for example) or free spins on certain games. This allows you to play for real money without risking anything, which the casino hopes will encourage you to stick with it and make cash deposits in the future. 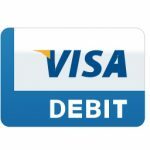 You can fund your account with debit cards such as Visa and, sometimes, Maestro. Debit cards deposits should arrive in your account instantly. 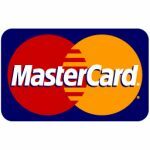 You can use credit cards, including Visa, Mastercard and, at some online casinos, American Express. These also transfer immediately, allowing you to play straight away. Some player prefer to deposit using bank transfer. 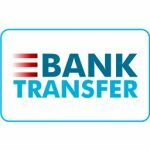 However, there is a usually a delay of a few working days between requesting the transfer and the funds turning up in your account. This option is great if you don’t like the idea of giving out all the important details from your payment card, but is no good if you want to play immediately. Many players prefer to make casino deposits, and other online transactions, through reputable eWallets. Sites like PayPal, Skrill and Neteller offer a barrier between the player and the company that ends up with their money. You upload your money to the eWallet and then transfer the funds from that to the casino. The thinking is that, if you accidentally join an unscrupulous site, they only have access to the limited funds in your eWallet, rather than the entirety of your personal bank account. Most sites take Skrill and Neteller payments, but players who use these methods are often not eligible for welcome bonus offers. 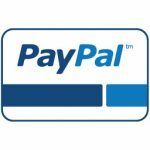 PayPal is a less-common option despite it being the most famous eWallet brand. However, sites like BGO accept Paypal transactions. Prepaid cards work a bit like a combination of debit cards and eWallets. 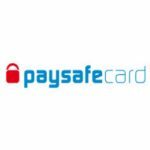 You fund a card from Paysafecard, Entropay, Astropay or any other firm, and use that to make deposits at casinos. Bitcoin is the most popular cryptocurrency and is more popular than ever. It is involved in increasingly more online transactions, but only a few online casino sites accept it. 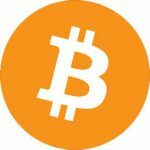 You can make bitcoin deposits at sites such as Winner365. To make a casino deposit, you must first open an account. Once you have provided your details, make your way to the deposit section. Input the amount you wish to fund your account with, then select your payment method. Enter your card number or sign into your eWallet when prompted and the site will let you know whether the transaction has been successful. If so, and you used a deposit that arrives into your player account instantly, you can then go and play your favourite slots games or table games.